After a few weeks of travelling around from coast to coast and city to city, I finally got settled back home in CA. And it was time for a welcome home feast: salmon and scallops on the grill. This “Welcome Home” grilling extravaganza turned out to be quite informational regarding the variety of uses of cedar grilling planks. I had picked up a cedar grill plank at our local Bob’s Market a few years ago with the intention of using it for salmon. I promptly threw it into a drawer and forgot about it until the other day, when presented with the challenge of grilling scallops. It had never before occurred to me to use it for anything but salmon. But we have one of those classic Weber charcoal grills without any interior shelves, and some of the scallops had broken in half, so we were hesitant just using metal skewers for scallops on the grill. Then I remembered the cedar plank. It was worth a shot. I soaked the plank in water for an hour as instructed, using a sake cup filled with water to weigh it down. It seemed efficient at the time, and even though it was floating, the plank got thoroughly soaked, so there’s that. 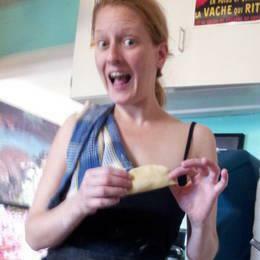 (Totally off topic, I recently learned about “pie weights“, and have decided I need them (even though I don’t bake much), a bacon press, and any other food-related weights. Okay, resuming topic.) Once the plank was soaked, it was ready for the scallops. We lined them up, set them on the grill when our salmon was close to being done, and let the Weber do its thing. The scallops were delicious: sweet and tender, with just a slightly smokey, woodsy flavor. Mmmm….so good. I didn’t know this at the time, but apparently, cedar planks can be washed and re-used several times, so I will have to remember that for our next cedar plank grilling extravaganza…which I hope will be soon! 1 Cedar Grilling Plank, soaked in water for at least 1 hour. Paprika, salt, and pepper to taste. 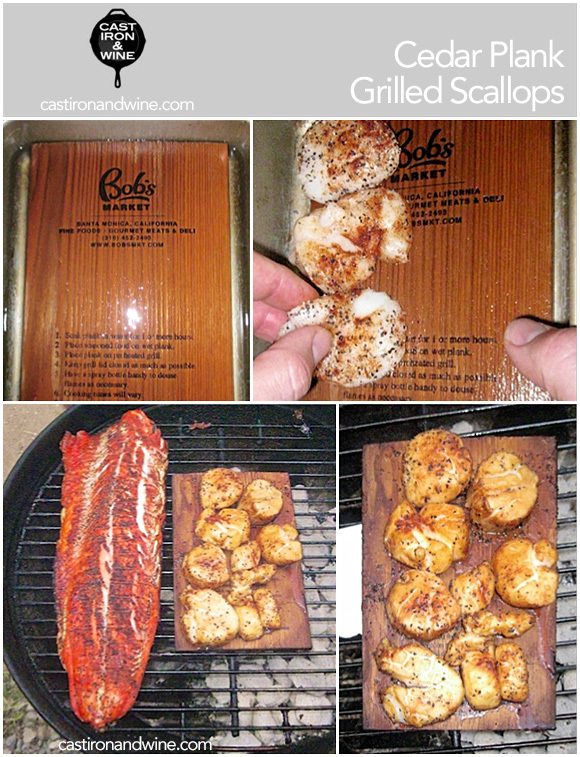 Carefully place scallops on cedar plank over indirect heat on the grill. Cover grill and cook for about 10 minutes. 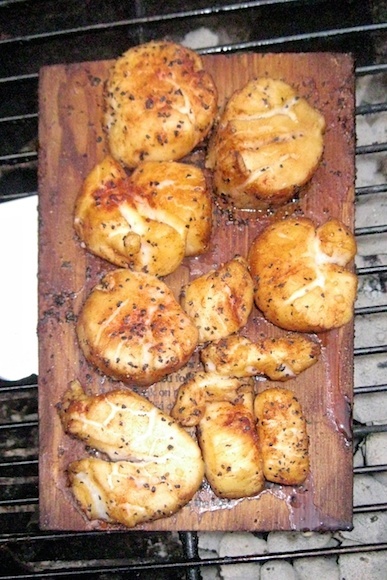 Flip scallops over on the plank and cover grill. Cook for around another 10 minutes or so. For the last few minutes, move plank over direct heat, checking every couple of minutes until the scallops done. Our total cooking time was around 30 minutes. Why have I not grilled scallops yet? These sounds awesome! I highly recommend it..they were delicious and SOOO easy to do!